Images may contain alternate text descriptions. Museum, Tracks, Stations, and other Items. CBC 50th Anniversery Train in Windsor, Ontario, on September 21, 2002. Pictures from my trip to British Columbia on VIA Rail Canada (July 2001). Pictures from my trip to Montr�al (July 2002). CP Rail 2816, Trip to Southern Ontario (June 2003). VIA Rail & New Brunswick "Wonder By Rails" tour, May 12, 2004. 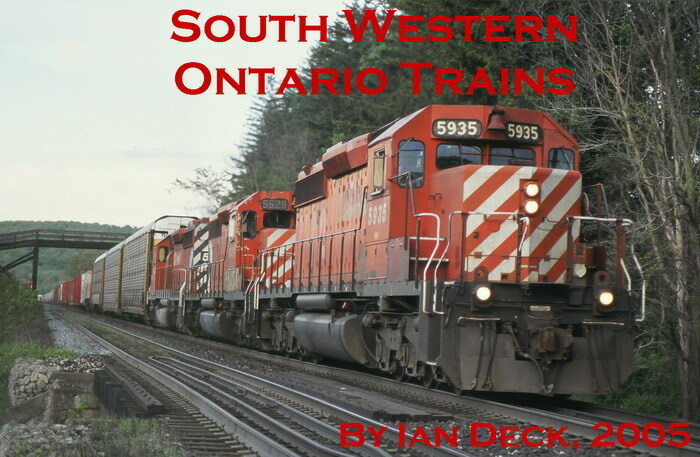 This page has bunch of picture from the Windsor Modular RR Club I belong to. Links to Major Railroad, other Railfan Web Pages, & and Model Railroad.